You know something has reached peak trendiness when a Silicon Valley startup tries to sell it to you: a tech startup valued at over $250 million is trying to change the world by, apparently, getting startup founders to practice mindfulness. Dr. Joiner argues in the Washington Post that the mindfulness typically offered in Western culture is a corruption of the idea. It is presented as a means to improve seemingly any condition—eliminates depression! improves memory! cures pestilence!—harkening back to the claims of snake oil. Though research has shown that practicing mindfulness has its benefits for mental and physical health, those benefits are beneficial side effects to its (at least historical) primary function of living a more aware existence. Otherwise it is simply another repackaged self-help product ostensibly intended to meet customers’ self-interested goals, while in actuality meeting its sellers’ goals for profit. Creating significant change in your life can require investing hard work and time. Quick fixes, naturally, provide alluring alternatives. When psychotropic medications were first invented, they were heralded as revolutionary cures for the psychological conditions of the day. Though modern psychotropic medications can be life-changing by reducing symptom severity of some diagnoses, they did not cure psychopathology. Our understanding of the brain is still too rudimentary for researchers to target interventions precisely enough to cure schizophrenia, bipolar, depression, anxiety, or any other mental health issue. The lustre of psychotropic medications has faded. 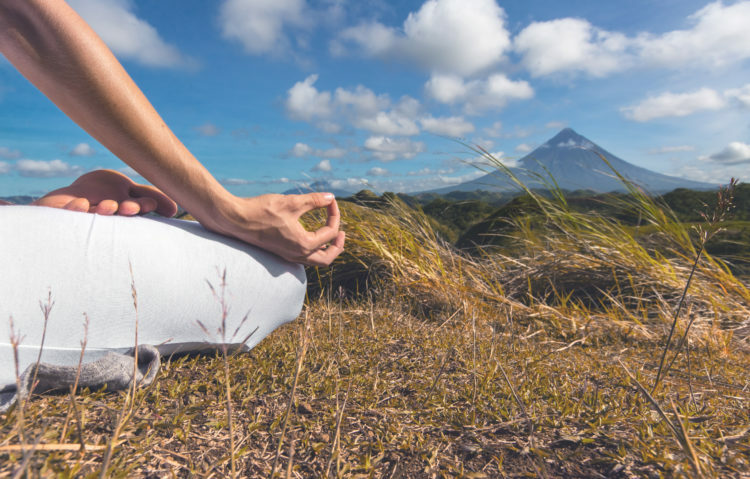 Mindfulness has been used by psychotherapists for decades, and the increasing interest in “evidence-based” treatments for mental health has spurred research, which has shown its promise in domains ranging from serious mental health disorders to improving performance on cognitive tasks, without any of the side effects associated with medications. This research has produced fodder for the commercialization of mindfulness: like exercise but for your brain. It might not be as easy as taking a pill, but it makes up for that with fewer side effects and effort that translates to a sense of accomplishment (if not moral superiority). Mindfulness has its uses but it is not a sonic screwdriver of psychology, effectively treating anything it is pointed at. The way I incorporate it into my practice is as a tool for increasing my clients’ awareness of themselves: their thoughts, emotions, behaviours, and their effects. My reasoning is that when you have a problem to solve or a goal to achieve, it is important to understand the current situation you are attempting to change, and that understanding arises from practicing intentional awareness. Without that understanding the changes one attempts are likely to be ineffective at achieving one’s goals. For example, if a client comes to me and says he is depressed all the time, I will want to know more about his depression before I can suggest solutions. Does he feel maximally depressed all the time or does it wax and wane over time or by circumstance? What thoughts occur when he is feeling depressed? What is going on in his body? How is his sleep? We understandably try to avoid negative experiences, but by practicing mindfulness I am asking my client to attend not just to positive experiences but to potentially uncomfortable experiences associated with depression. By having him pay attention to the range of his experiences and how they interact with the problem he wants to change—to consciously measure his own self—we can work on changing whatever reinforces the depression. This close scrutiny of one’s own self also inevitably causes one to make changes of one’s own accord. When it comes to social science, measurement often changes the measured. Similarly in psychotherapy: we each have a self-concept of who we are, who we want to be, and who we want others to see us as, so when we measure ourselves and notice a difference between who we are who wish to be, we make adjustments to more closely align with those self-concepts (because, in some ways, that may be easier than changing how you see yourself). When I read studies that show that practicing mindfulness treats depression or improves archery accuracy or whatever the idea under investigation, one of the mechanisms may be that the mindfulness produced a greater awareness which lead to participants making a change. It would be like noticing that when someone built a car they started locomoting more quickly. It is true that the building of the car started a chain of events that lead to faster locomotion, it was one of the steps that lead to driving that car that lead to the increase in speed. There is no doubt that practicing mindfulness can inherently provide benefits, if only in the same way that practicing any skill can improve your brain functioning. But the mechanism by which mindfulness affects your mind is more complex than simple cause and effect. Though the practice of mindfulness in the West is typically split from its philosophical roots, it has been a component of a larger spiritual practice for a reason: it is a tool for living more aware in the present moment, which can be helpful or inconvenient, depending on your goals.